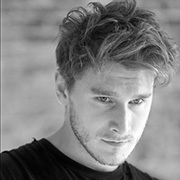 Hailing from Somerset, Ed was a Royal Ballet Senior Associate before continuing his studies at Elmhurst Ballet School. He graduated from Rambert School of Ballet and Contemporary Dance in 2010. During his final year he featured in Rambert Dance Company’s production of A Linha Curva by acclaimed Israeli choreographer Itzik Galili, which toured throughout the UK. He has danced professionally in various freelance projects and is also an experienced teacher. Ed also appeared in BalletBoyz: The Next Generation for More4.